Oklahoma landed three players on the Associated Press All-America team released on Monday morning. The trio also earned All-America honors by the Football Writers Association of America later in the day. Wide receiver Dede Westbrook (first team), offensive tackle Orlando Brown (second team) and quarterback Baker Mayfield (third team) were listed by the AP. 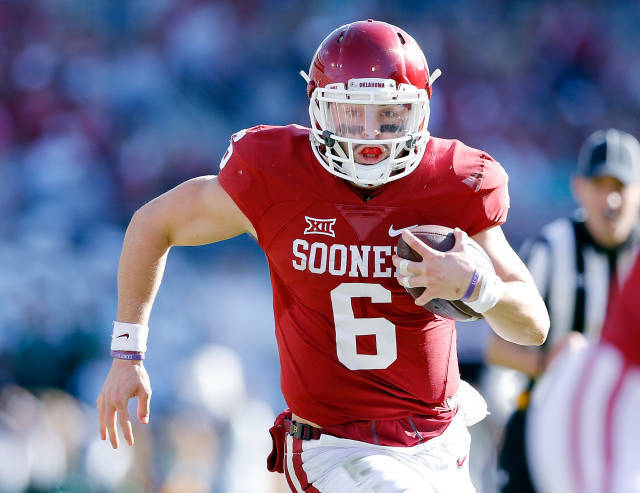 Mayfield and Westbrook finished third and fourth, respectively, in the Heisman Trophy balloting. Heisman winner Lamar Jackson of Louisville is the first-team quarterback. Westbrook is OU’s first wide receiver to earn AP first-team honors since Ryan Broyles in 2010. It is the 37th time the Sooners have had a first-team All-America pick in Bob Stoops’ 18 years as coach.